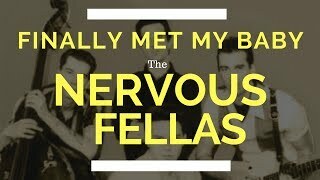 Vancouver Canada Rockabilly Band The Nervous Fellas perform their theme song their version of Smiley Lewis “Real Gone Lover” from where they took their name. 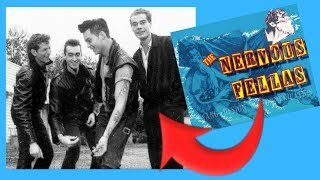 Here is some footage from Mark Twang’s Archive of different versions of The Nervous Fellas when Mark Twang (guitar player) was a member of the band.The Nervous Fellas Real Gone Lover live footage in the video is from 1988 – 1992 various performances / engagements throughout Canada. 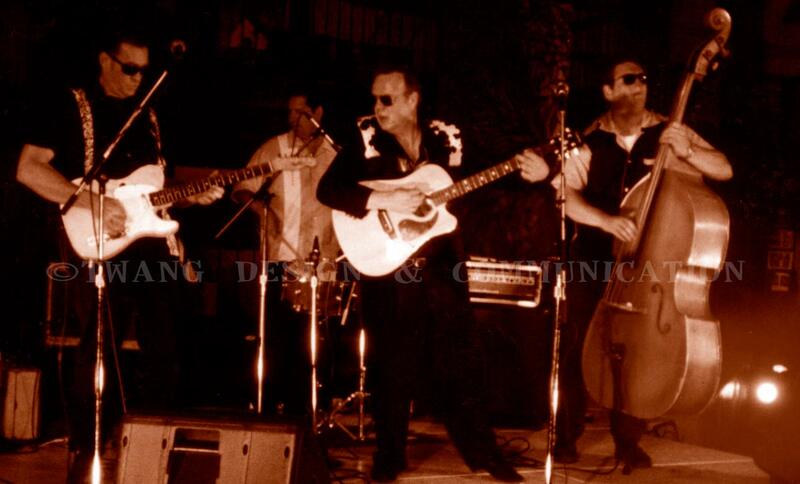 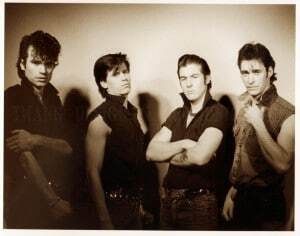 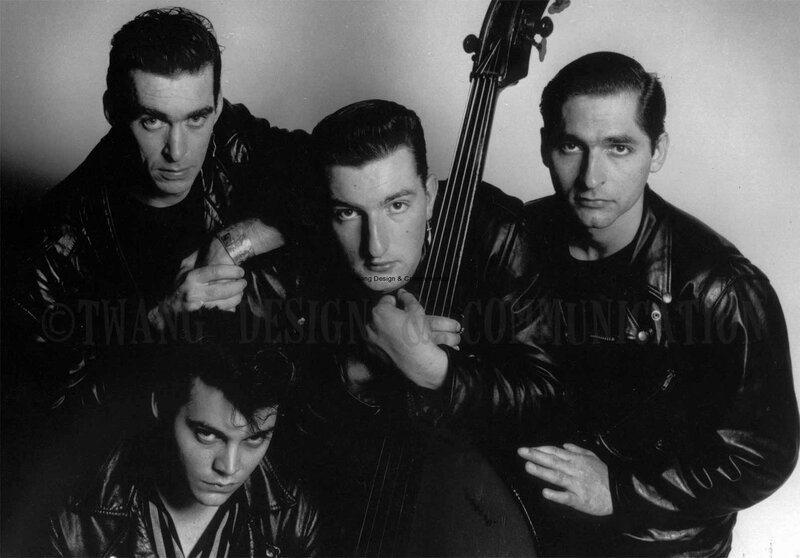 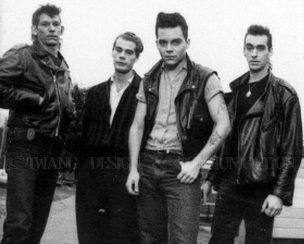 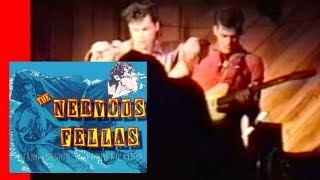 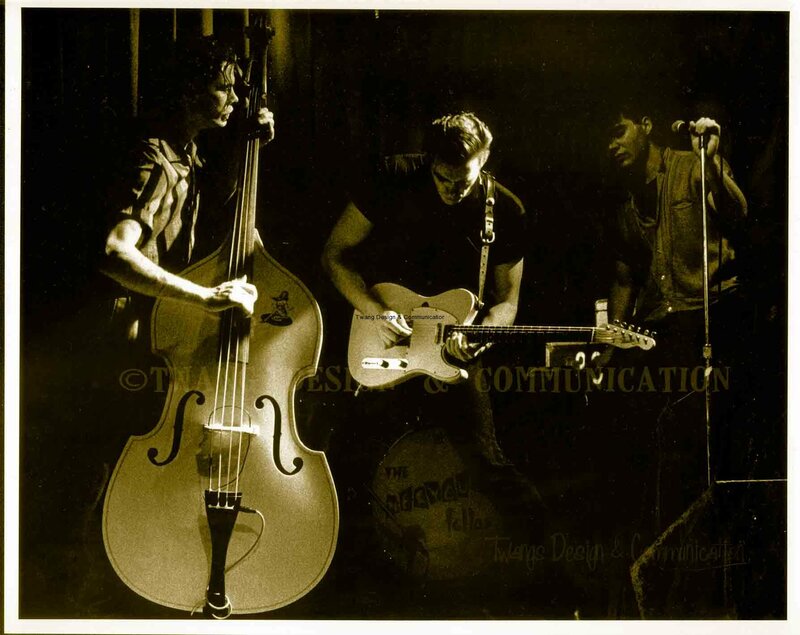 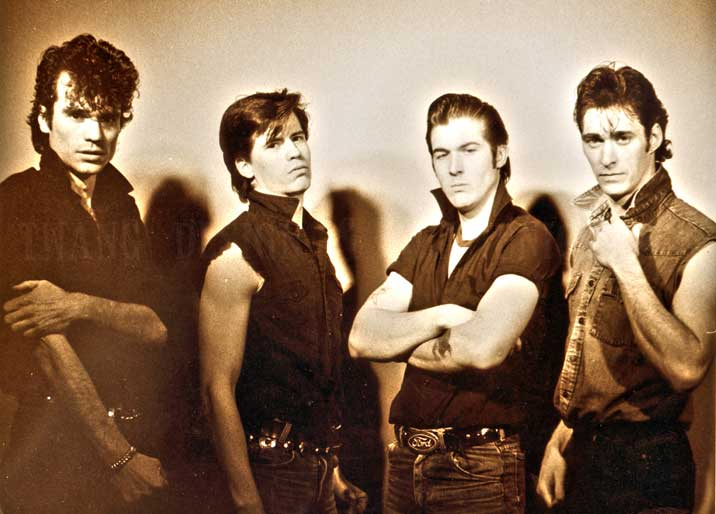 Based in Vancouver Canada the Rockabilly Band The Nervous Fellas perform their theme song their version of Smiley Lewis “Real Gone Lover” from where they took their name in 1987. 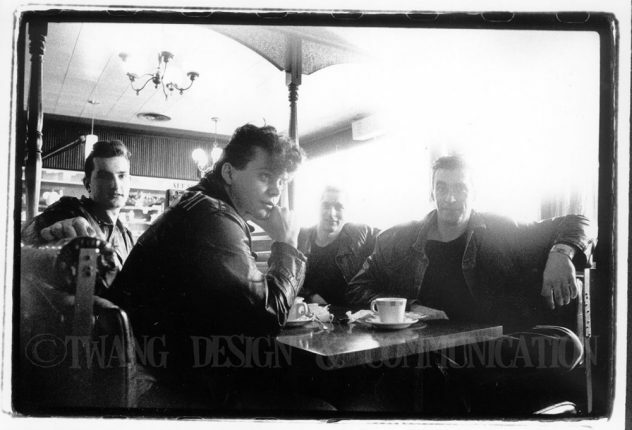 The Audio Track was recorded in Vancouver at Profile studio’s by sound engineer Cecil English in 1989. 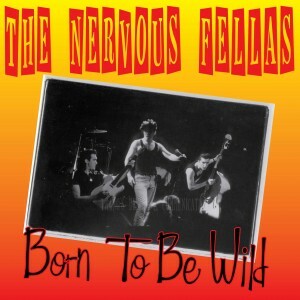 It was later released on a vinyl record on Nervous Records U.K. record label (no the band does not own the record company). 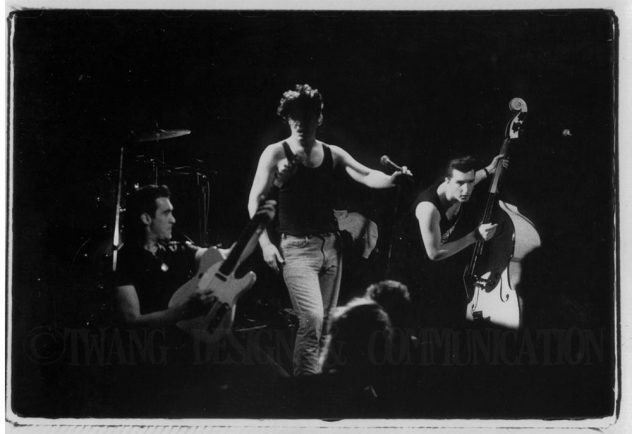 It is not out of print, no CD was released of it. 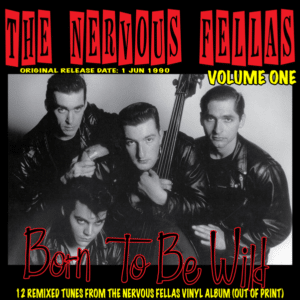 However it is been remixed for MP3 by the guitar player Mark Twang and available for download here: The Nervous Fellas “Born To Be Wild” included their covers of Real Gone Lover and a Lightin Hopkins song “Finally Met My Baby”. 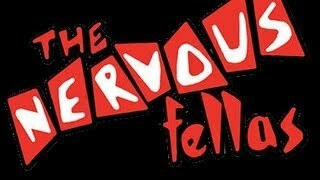 All others songs on the album are Nervous Fellas original penned songs. 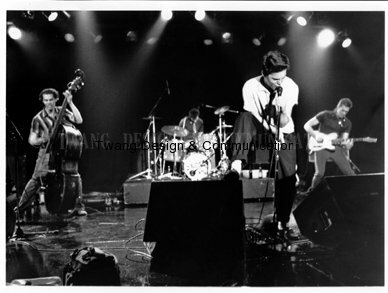 Live Footage from 1988 -1992 featuring different members of the band in mostly a chronological order and with one common denominator of Mark Twang and Butch Murphy throughout. 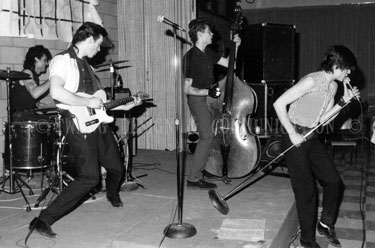 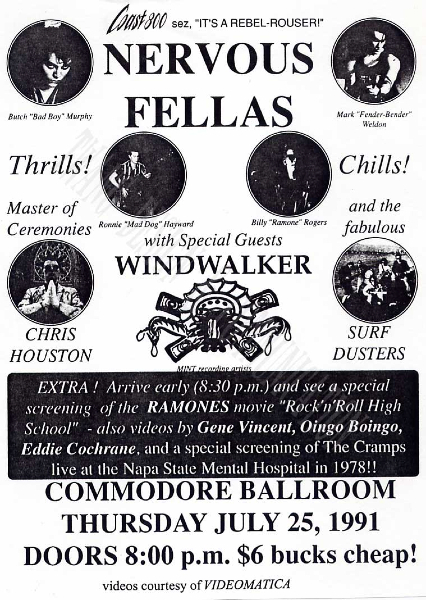 This was the band playing on the road through its prime-time as well playing the Town Pump, The Railway Club and other clubs in Vancouver.